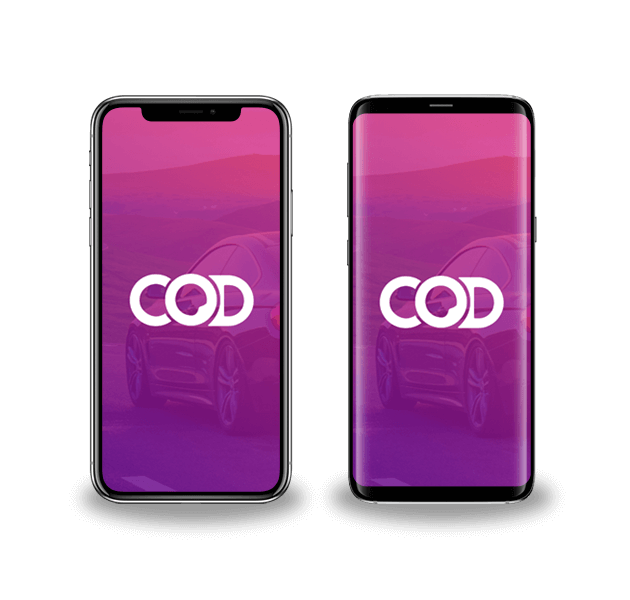 COD (CAUSEWAY OD SHIELD) is a cross-platform mobile app for Singaporeans to claim insurance for vehicles outside Singapore upon uploading vehicle images and allow user flexibility to choose an insurance plan based on their requirements in Singapore. Facebook login makes the app easy to access without hassle of feeding user information. This app will lessen the burden of user to manually reach the insurance agent and apply for insurance of the vehicle. 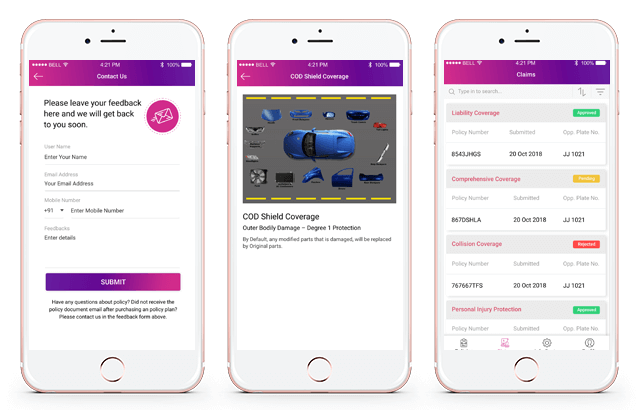 COD - CAUSEWAY OD SHIELD provides cross-border insurance solution for Singapore domiciled vehicles in form of COD - CAUSEWAY OD SHIELD mobile app. In this manner, it solved the enormous problem of Singaporeans claiming vehicle insurance in case of any mishap on foreign soil. Using the app users need to upload pictures of their vehicle to claim insurance. 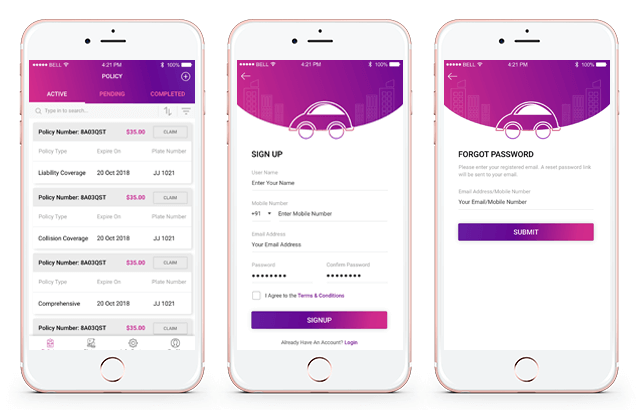 This app will lessen the burden of the user to manually approach the insurance company and apply for insurance of the vehicle which is a time taking process. As per the client requirement to develop cross-platform app for easing the process of claiming vehicle insurance, the app was planned to be developed by leveraging our expertise in React Native in form of less development time, less resource engagement, reusable component, and compatibility with the third-party plugin. Even before the development phase of the project was initiated another great cross-platform framework Flutter was launched and the app was finally developed using the Flutter framework. COD (CAUSEWAY OD SHIELD) is really helpful in claiming vehicle insurance in a foreign land with ease and effortlessly. Nowadays, Singaporeans face a lot of problems to claim insurance outside Singapore and this app will transform the process in a digital manner. COD (CAUSEWAY OD SHIELD) is one such cross-platform mobile app that helps the user to do the basic tasks in no time. 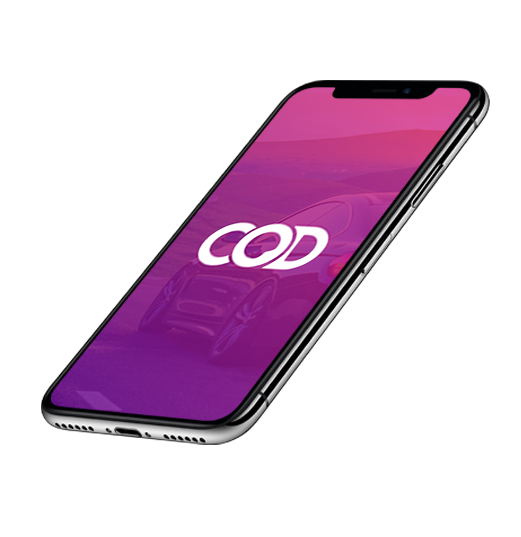 COD (CAUSEWAY OD SHIELD) mobile app that is developed by Singsys helps the user in terms of choosing an insurance policy, notification on successful submission of policy, and uploading vehicle snapshots. 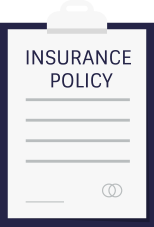 This app will ask the user about various important details via easy to fill form thereby making the process of choosing a vehicle insurance policy quick and easy. Another great feature is to be able to track the current and past status of the claim. Users will be reminded about the expiry date of insurance claim via pop up message. In case of facing any problem of vehicle towing, users can immediately contact the authority for help directly from the mobile app. This app has a payment gateway integrated for a quick, safe and convenient in-app transaction in multiple currencies. Offcourse, PROJECT MANAGER played key role in ensuring every development phase is completed on time. Developers ensured seamless user experience by implementing the necessary components and third-party libraries in an optimized manner. Another feature incorporated was proper screen orientation for smooth user experience. Use of image caching for loading of images in less time. After getting well versed with Flutter framework, our developers put efforts to further enhance the performance of COD (CAUSEWAY OD SHIELD) app by providing a native user experience as well as made the app responsive on multiple devices with error-free performance. In order to make app load time real quick, our flutter app developers designed a high-end architecture without any unwanted tabs, controls and animations for fast navigation. Smooth Integration of Stripe payment gateway to make online payment processing highly customizable and a high-end tech solution for secure payment processing and is user-oriented. Some important features incorporated in the mobile app development were the integration of Google Map, Facebook Login Authentication and Google Places Autocomplete Integration. In order to allow user pinpoint a specific location from a map, we integrated the Google Map into the app. Implementation of Google Map directly in COD (CAUSEWAY OD SHIELD) app helped users to easily locate particular coordinates. Our Flutter developers created a Google API Key from the Console and imported the plugin from there so that to be able to recognize the user using the Google Map. Implementation of high end and top notch Flutter-compatible packages, libraries and plugins for completely Cross-Platform Mobile Development. This also made the map feature of the app more interactive as users could easily select a location and perform a task on behalf of drag and zoom features. Implementation of Facebook login authentication helped to make user experience hassle-free and eliminated any need for adding the user data as it would be fetched from user facebook profile. 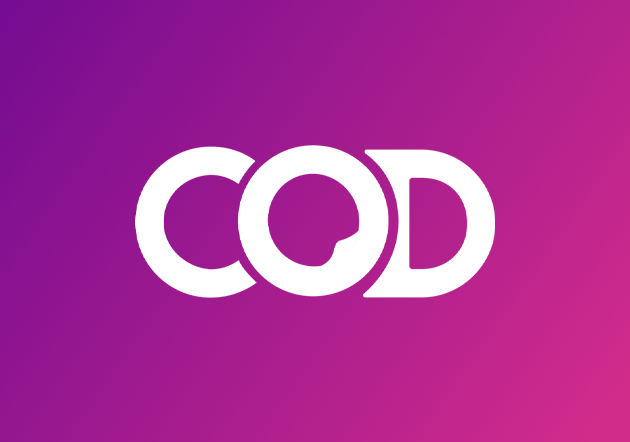 Flutter developers used their expertise in Facebook SDK and followed the right way to implement Facebook login in COD (CAUSEWAY OD SHIELD) cross-platform mobile app. Google Place Autocomplete feature was implemented using the autocomplete widget (it is a search dialogue with an inbuilt feature of autocomplete) that helped the user by displaying a list of places in response to the search query and enable them to choose most appropriate location one from it. We leverage our expertise in Flutter widgets for smooth and fast performance. In this manner, app will help the users to do the task as quickly as possible.